Car loans for US veterans – usually open to current service members, retirees and veterans. First time car buyers – special rates may apply for those who have never bought a vehicle before. Auto loans after divorce, repossession and bankruptcy – some dealers may be willing to extend credit if you have been affected by one or more of these circumstances. Financing with no credit history – for car buyers who are younger and who have not had time to establish significant credit or individuals who have never had credit in their own name. Whether you are looking to purchase a fairly new used vehicle or one owner SUVs for sale, financing it is a priority. 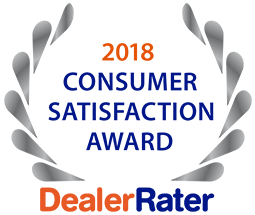 Exploring your options prior to visiting the dealer can help you narrow your search for just the right type of loan and the most reliable dealership from which to buy your car. You can rely on 5 Star Auto Plaza. We have a long history in the community for dependable pre-owned vehicles and a wide variety of financing options, including teacher auto loans in O’Fallon. Call us today at (636) 940-7600 to learn more.